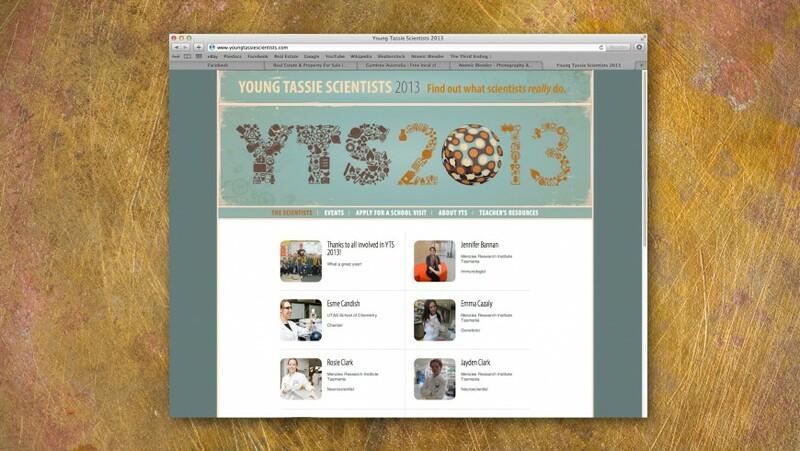 This concept was developed for the UTAS, National Science Week and Inspiring Australia initiative “Young Tassie Scientists”. The client needed a design which would appeal to a younger audience and highlight that science is not just about ‘lab coats and professors’. 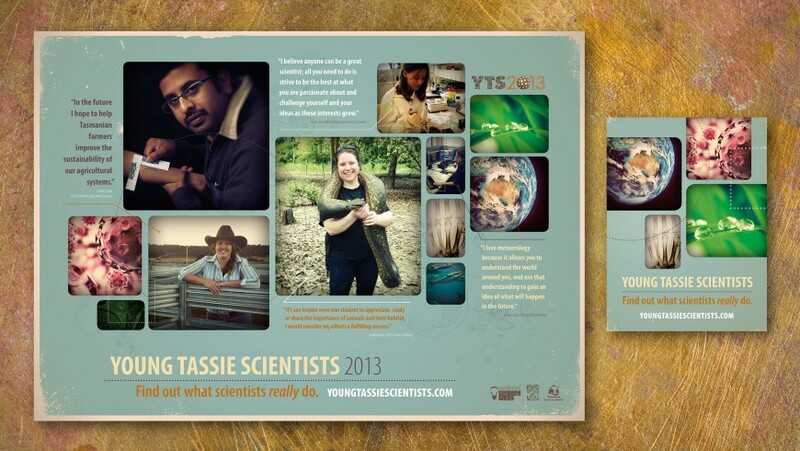 The final graphic was itself compiled from a range of smaller images, to represent the diversity of science careers and the inclusion of images and stories from real-world science graduates made the material more relevant and accessible for students.